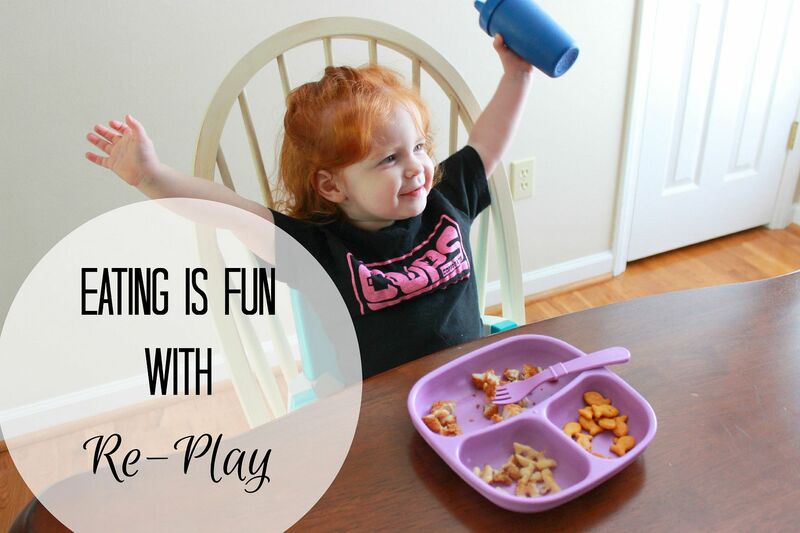 I received complimentary feeding sets from Re-Play to facilitate my review. All opinions expressed are my own. Children can be picky eaters, yes? That is something that I have heard over and over and over. Luckily, K is a pretty good eater and does eat a variety of foods. However, in an attempt to encourage her to remain a good eater, I've always tried to make meal time fun. 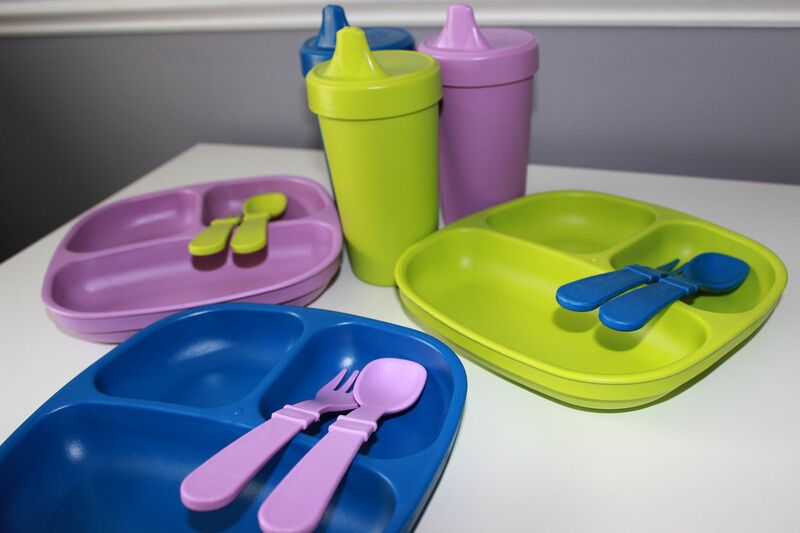 The easiest way for me to do that is to offer dinnerware/feeding sets with fun colors and shapes. 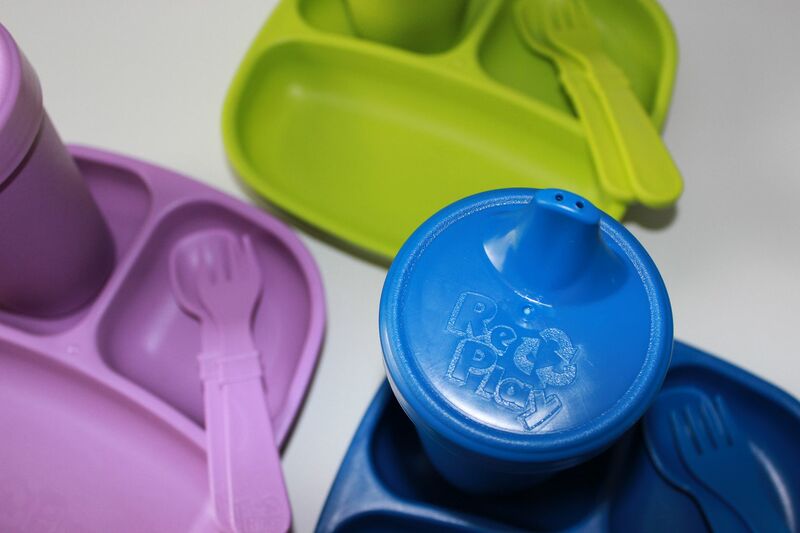 Recently, I discovered Re-Play; which are feeding sets that come in a variety of colors and are hands-down the most durable set of children's dishes I've ever used. The colors are bright and vibrant and really appeal to toddlers. A really cool thing about Re-Play is that the products are made from recycled milk jugs, so I feel really good about using them. 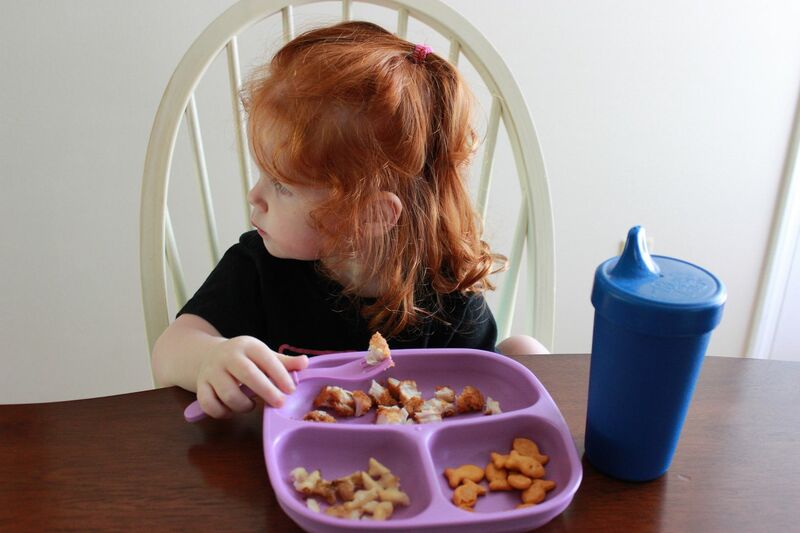 When searching for the perfect plate for K to use, I have always gravitated toward divided plates. Before she could really talk, we worked on sign language. Having a divided plate worked nicely with that, because if K wanted "more" of a particular food then she could point to the slot on her plate that contained what she wanted. And I know that a lot of children (and some adults) don't like their food to touch so divided plates are the perfect solution. Re-Play has quite the collection of products: divided plates, utensils, cups, bowls and snack stacks. 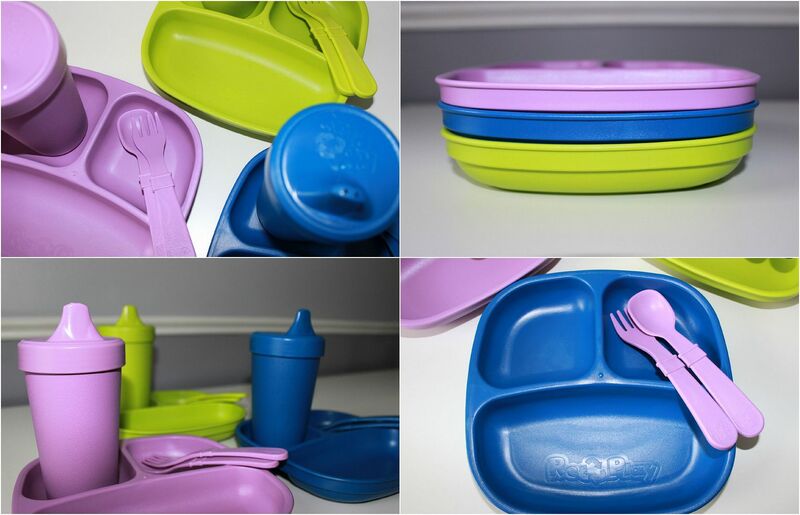 All of these products come in bright colors, allowing your toddler to get excited about meal time. We love to give K the option to pick her color before we eat. This gives her a sense of being independent and in control. 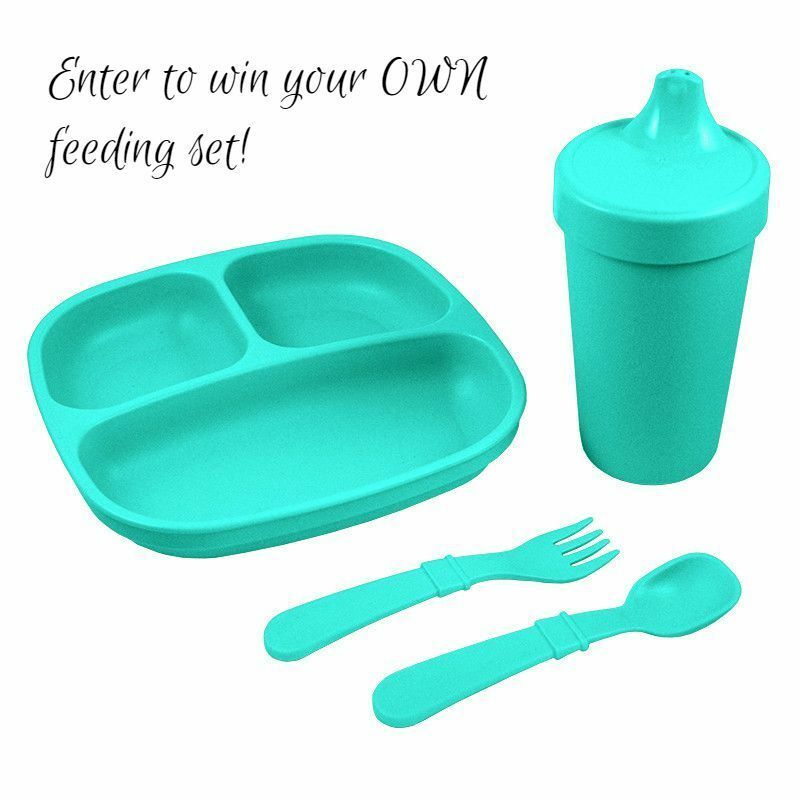 Because the people at Re-Play are so amazing, they are giving YOU a chance to win your very own feeding set. 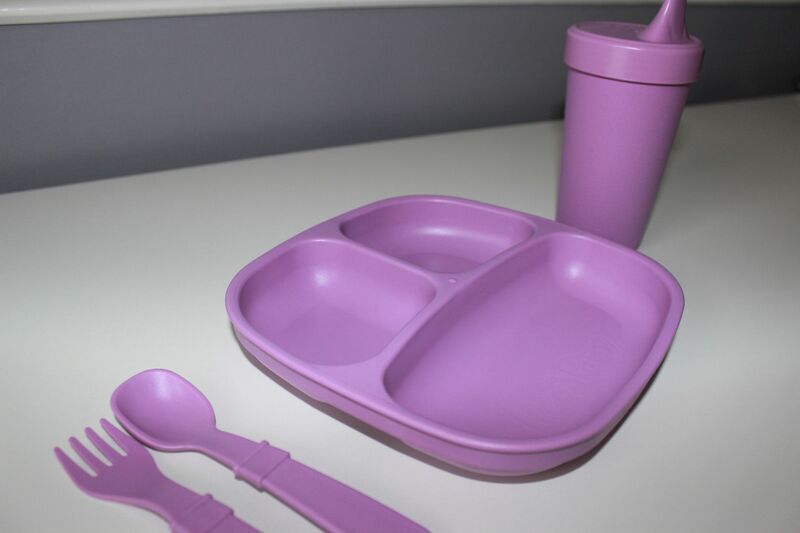 Each feeding set includes a divided plate, no-spill cup and a pair of utensils (fork and spoon). So you can see for yourself just how awesome these products are. To enter, all you have to do is use the Rafflecopter below and follow Re-Play on some social media channels. You can enter with just one entry or all of them - the choice is yours! Those looks like great sets of plates/cutlery for kids! Love the colors! Sounds like a great set.